Many of you have requested help in how to correctly pronounce various Sanskrit mantras, so I am putting together a new free online e-book which will focus just on mantras and thus, will provide you a central location from which to download all the free mantra MP3s that I will be uploading. Already on the site there are many powerful mantra downloads available, some in MP3 audio format, while others in MP4 video format. Here is a quick list of the most popular of these, and they will also of course be bundled into the free e-book in the next week or so. In addition, there are many techniques on Mastery of Meditation and Yoga that utilize various Sanskrit mantra and mantras in Gurumukhi which do not have a corresponding MP3 audio demonstration or video demonstration. And creating and uploading these will be a priority for the new mantra e-book. But today’s article is to introduce you to another great Sanskrit mantra, the Vishvani Deva Mantra, which is designed to help free you of negativity, and attract and obtain positivity. It is a mantra to help you get abundance into your life. Below you will find the details for this Vedic mantra, including an English translation and also free MP3 downloads. As our kids are getting a little older (3 and 5 now), I am happy to say I am able to wrestle my talented wife Trupti away from them a little more to help enrich this blog further . She is the artist behind the Hatha Yoga Poses you find on the website, and also the voice behind many of the mantra MP3, including the one below. O Supreme Creator, You are the creator of the entire Universe. Take away all the bad deeds, bad habits and miseries. Give us all the good qualities, and blissful and auspicious objects. As you can see from the translation above, this mantra is essentially about abundance. It is a request to have all that is negative removed and have all the is positive brought to us. It is a fundamental Vedic mantra and is a core component of Hindu pujas and prayers. Please download them to your computer and enjoy. To download, RIGHT click the link below choose “Save Link As…” or “Save Target As…” depending on your browser, and it will download the MP3. Again as a reminder, the free online mantra multimedia e-book is in the works and should be uploaded in the next few weeks, so be on the lookout for that. As part of that project, many important and powerful mantras, such as the Adi Mantra, SAT NAM mantra, etc, will be coming online soon as well. Mantras are very powerfull to improve our mind. I admire your great work for hindu religion & remain thankful for free service. Sorry for langauge and spallings mistake. Hy Anmol ji this,s good work for hindu dharma amd maditation.And please more subject about hindu dharma amd adhyatm in aideo and videos format. i dont know for sure, still i am using the mantra for Vishnu Om namo narayanaya. Another thing that i read is that everyone should address to the god according to his religion so if i am a christian i should whorship Jesus. Its confusing i dont know what to chose. I think i will wait and see if vishnu is right for me. Good Article. I am waiting for proper translation of Gayatri Mantra and Myrutunjaya mantra with its meaning. Hope you will post that too. Thanks. Every letter in Sanskrit has a definite frequency of sound associated with it. When pronounced in correct manner, it emanates sound energy. These letters are combined to form mantras where the energy of each individual letter is combined with othat of others to create a overall positive effect for the person who chants it. 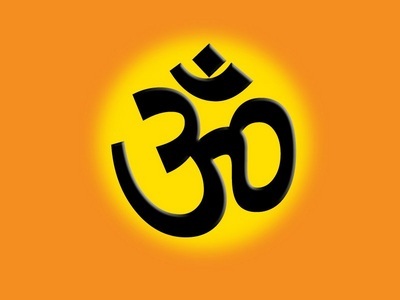 Thank you so much, i found vedic mantra’s extremely interesting and have wondered whether my pronunciation would affect them and if i was even correct, this will help greatly. is it true that japa is the most powerful form of yoga?